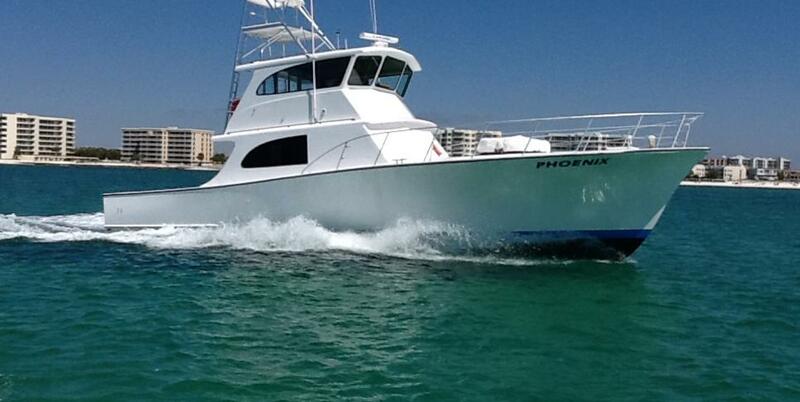 The Charter Boat Phoenix is big, fast, clean, 55 foot custom G&S. We are fully equipped, with a very comfortable interior with A/C. USCG approved for up to 20 passengers. We specialize in all types of charter fishing. We offer some of the greatest deep sea fishing experience you will ever have, from the novice to the experienced fisherman, from 4 hour fishing trips to Overnight Fishing. We have a top crew with over 40 years of experience that offers some great family fun! The Phoenix is located in the heart of Destin Florida at Harborwalk Village. 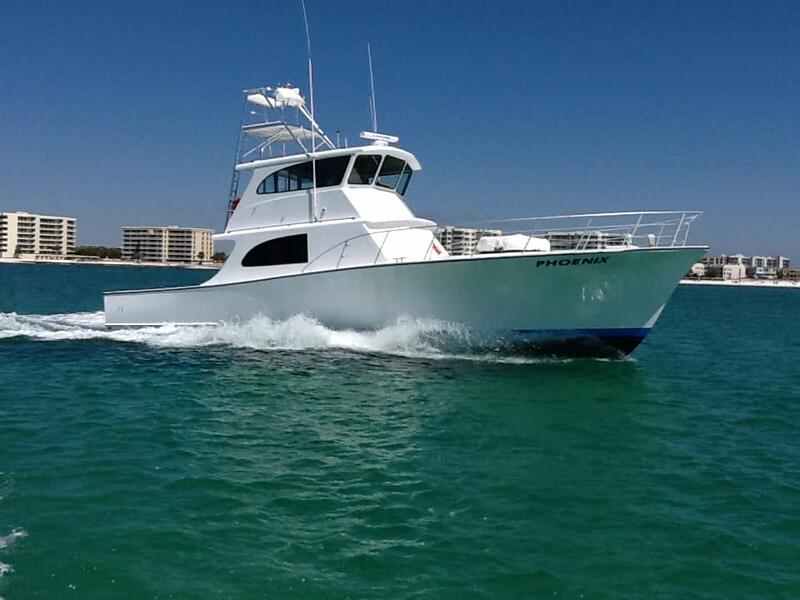 Fishing license, top of the line tackle, Experienced Crew, and a 55’ fishing machine, all included. Open 7 days a week. 5:30 am to 9 pm.